Sigekatu Kuroda studied mathematics at Tokyo Imperial University and was awarded his Rigakushi (Bachelor of Science) in 1928. His professor at Tokyo Imperial University was Teiji Takagi, who was a leading researcher in algebraic number theory, and he gave Kuroda a lasting interest in that topic. However, Kuroda decided to specialise in the foundations of mathematics and, for that reason, Takagi is said to have called his student a "lazybones". Kuroda's first three papers were all entitled Zur Algebra der Logik Ⓣ published in the Proceedings of the Imperial Academy of Tokyo. The first two appeared in 1930 and the third in the following year. Teiji Takagi had married Toshi Tani in 1902; they had three sons and five daughters. Kuroda married Yaeko, the third of Takagi's daughters; they had three sons who became mathematicians including Sige-Yuki Kuroda (1934-2009). Sigekatu Kuroda served as an Assistant at Tokyo Imperial University in 1932-33 before being appointed as a Professor at Ochyanomizu University, Tokyo, in 1933. In the same year he published the monograph Sugaku Kisoron Ⓣ and, in 1938, the book Shugoron Ⓣ. ... long periods of service to his country away from his field of studies. ... illustrates intuitionistic points of view towards mathematics, and investigates intuitionistic logic as formalized by Heyting-Gentzen. In fact he makes it clear in the 1951 paper that he shares L E J Brouwer's view that mathematics is an activity of thought that is independent of logic and based on immediate evidence that is intuitively clear. 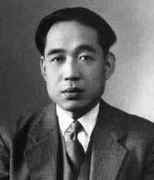 In the same period, he published An examination of the foundations of analysis (Japanese) (1949) in which he examined consequences of a non-intuitionistic assumption which leads to two non-equivalent real number systems. In this paper, he then examines order relations, the operations of arithmetic, rational and irrational reals, and also considers how convergence works. Perhaps there and then the idea was born whose realization dominated the following years: he introduced a new system, suitable for the logical foundation, which may be regarded in some sense as a modified and drastically simplified Gentzen system. It has been published in a series of thirteen papers under the common title "An investigation of the logical structure of mathematics." It was my great pleasure also that I heard from you that you are studying Husserl and you admired his philosophy, which was the unique philosophy that I devoted rather long period and effort in my youth. I hope I have a chance some day to speak with you about Husserl. As you are doing now, I would like to recollect Husserl's philosophy after returning to my country. Despite his many deep works on mathematical logic and the foundations of mathematics, Kuroda had a lifelong interest in algebraic number theory. Examples of his publications in this area are the papers Über den Dirichletschen Körper Ⓣ (1943), Über die Pellsche Gleichung Ⓣ (1943), Über die Klassenzahlen algebraischer Zahlkörper Ⓣ (1950), Über die Zerlegung rationaler Primzahlen in gewissen nicht-abelschen galoisschen Körpern Ⓣ (1951), and the book (with Tomio Kubota) Number Theory - Fundamentals of Algebraic Number Theory (Japanese) (1963). In the 1950 paper he generalised results of Dirichlet, Herglotz and others, when he studied the general shape of the class number relations (multiplicative relations between the zeta-functions of subfields) of an abelian extension of a field. The 1951 paper gives one of the earliest examples of a nonabelian decomposition law. Beginning in the early sixties he became very interested in the use of computers in number theory. He did a considerable amount of work in this area himself; unfortunately only a small part of it has appeared in print so far. But he also tried to establish a system of communication and cooperation for the various groups working in this area, thereby giving invaluable advice and practical help to anybody asking for it. He became Professor Emeritus at both the University of Maryland and at Nagoya University after he retired in 1972, but he was to hold these roles for a very short time since he died in November 1972. Professor Sigekatu Kuroda died in 1972 at the age of 67. He was a mathematician whose role in the mathematical community and whose influence on its development cannot fully be measured by the amount of his published work done. Deeply devoted to our science, he was constantly prepared to serve his cause, the promotion of mathematics. A long and painful illness overshadowed his last years, but for him, who was then deeply engaged in the editorial preparation of the collected works of Takagi, the illness seemed to exist only as a reminder of the shortness of time left to complete the task. His devotion to mathematics together with his extraordinary patience made him a successful and even inspiring teacher, highly respected by his students as well as by his colleagues and friends.